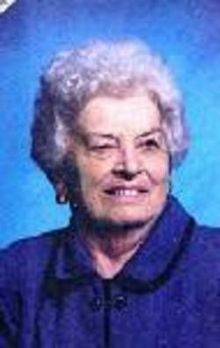 Asheville ' Betty B. Medlin, 75, died July 8, 2009 at St. Joseph Campus, Asheville, NC . She was a native of Haywood County and member of the Methodist faith. She retired from Champion International after 35 years in the accounting department. She enjoyed spending time with her family and knitting in her spare time. She was preceded in death by her parents, Ernest and Charlotte Branson. She is survived by her loving husband of 44years, Wallace Medlin, three daughters: Teresa Moorefield and husband Donny of Maryland, Beverly Kordonski and husband Jim of Pennsylvania and Jo Lynn Medlin of Maryland, one brother: Dale Branson and wife Glenda of SC, one sister: Barbara Stamey of Canton, NC, four grandchildren: Donny, Jr., Sarah, Jodi and Heather, three great grandchildren and numerous nieces and nephews. A Memorial service will be held 2:00 PM, Saturday, July 11, 2009. The family will receive friends from 12:00-1:45PM prior to the service at the Forest Lawn Chapel of Faith with the Rev. Jerry Wilson officiating. In lieu of flowers, memorials may be made to Plains United Methodist Church, General Fund, 2029 Newfound Road , Canton , NC 28716 . To leave a condolence for the Medlin Family please go to obituaries at www.moorefh.net. Moore Funeral Home at Forest Lawn is assisting the family.